Here you will find information about our Surgery, services the Surgery offers and health advice. We are located in the seaside town of Weymouth on the south coast of England. 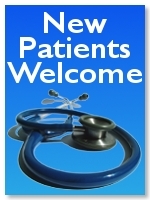 We aim to provide a comprehensive, personal, professional service to all our patients. If you would like to book an appointment with a doctor please telephone the surgery between 08.30 to 18.30 on 01305 774466. If you need medical advice or attention when the surgery is closed please call 111. The NHS 111 service is free to call, although if calling from a pay-as-you-go mobile you will need at least 1p credit. If you need urgent medical advice when the surgery is closed please call 111. For life threatening medical emergencies, call 999. The practice is pleased to advise you that it is now possible to view your detailed coded medical record and medical summary data online via SystmOnline. If you have already registered for our online services, please click on the link below to book an appointment, request your medication, or request to view your coded medical records. If you would like to register for this service, please personally bring in to reception one form of photo ID and a letter confirming your current address, or download the registration form here. For free expert health and advice. New NHS Direct and Out of Hours service for general medical information and treatment 24 hours a day.